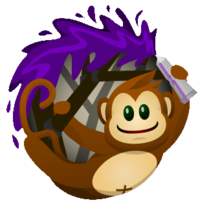 For those who don’t know, Greasemonkey and Tampermonkey are addons for Firefox and Chrome respectively. They allow you to install scripts that people write and will run on certain pages to include functionality and allow for some pretty nifty stuff! Here are a few of my favorite. Fantastic addon that includes a massive amount of functionality into Youtube that it desperately needs. Basically anything you wanted Youtube to do before is included in this script. Makes images link directly to the original in Google Images search. The source website link is moved to the white URL at the bottom of the image. Also gives the option to always use the basic (old) version of Google Images. Super simple userscript that adds a Random Episode button next to the season selector on Netflix Watch Instantly pages. Turn any plain text urls into usable links. Watch videos without using Flash, forces HTML5 video player. That’s all for now, but I’ll be updating when I find more. Enter your favorite in the comments below!